He first found fame as the crime-fighting hunk in the TV show MacGyver, whose uncanny ability to turn everyday objects into life-saving solutions, earned him fans the world over. 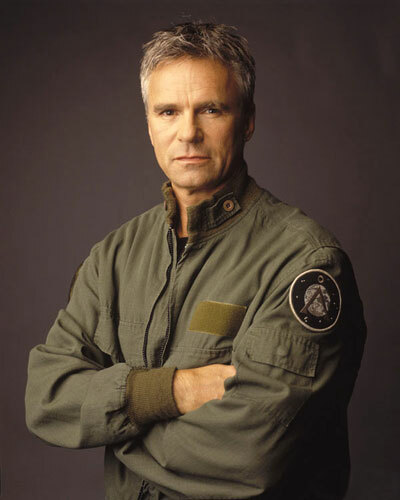 Through seven smash seasons, actor Richard Dean Anderson turned the character into a household name. And though the TV sleuth cracked his final case more than 20 years ago, his real-life alter-ego is still in work mode, travelling the world to meet fans of the hit show at conventions, including the upcoming Oz Comic-Con. When I travel for work, travelling is just getting me to a place. People say that getting there is half the experience, but that definitely doesn't apply when I'm working. Virtually every time I've taken a major holiday - whether it be to Europe, China or wherever - I try to start a journal of some kind and write down events of the day and observations. The longest that lasted was a day and a half. I'm always so prolific on the actual plane: writing about the anticipation, the planning and what I'm excited about, but when I get on the ground and I'm on the road, I never find time to jot things down. I need to find the discipline to follow through! The travel seed was sown when I was very young. I was the oldest of four boys and I started to move away from the nest sooner than anyone else in the family - I actually left home when I was 14. I remember hitchhiking as a kid, I think that was the most fun I've had travelling. I rode a bicycle from Minnesota to Alaska and back, and that was three months worth of travel that really altered my life. I'll paint a picture of where I'm sitting right now: I'm at home, outside on my deck. The Pacific Ocean is in front of me, there's a beautiful blue sky, my dogs are lying at my feet, panting in the sun, and I'm surrounded by a couple of acres of trees. Right now, it's hard for me to imagine the need to relax - or unwind! So, staying home ticks that box for me. Well, until my knees went and before my back became so much of a problem that it was worth enduring, I'd always go to the mountains to ski. Any mountains, but my favourite place was always Alaska. Destinations became important when I was a heavy skier and Alaska became the place that I just had to go every year. But those days are gone. 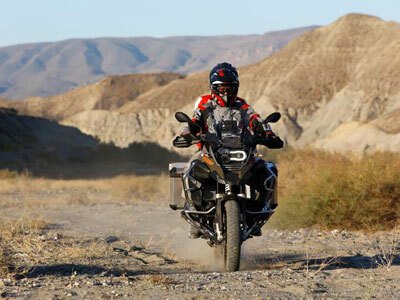 Now, I like to get on my motorcycle - I've got a big BMW touring bike - I get on that and go north to the coastal mountains of California. I love being on the road. It's always nice to go into a town and see what the local greasy spoon looks like. Italy is a standout for me and I remember one experience in particular. I was travelling with a friend and we went down a side street to a little place below street level. It was almost like a small family kitchen. We were served homemade wine and whatever they had cooked - a pasta dish, from memory. It was so simple, but so tasty. My passport. I carry it right in my front pocket so I can always feel it. It's one thing I never want to be without when travelling. I could be in Canada and still get into trouble without a passport. In fact, when I was travelling with my daughter, I made sure I kept hers with mine in the same pocket. Common sense aside, I always put comfort first. I need shoes I can kick off and comfortable cotton clothing. I don't sleep very well on airplanes, but if I want to sleep I'll start to read a book, which usually does the trick. After years of travel, I still don't have a remedy. During the late MacGyver days when I was flying back and forth to London a lot for shooting, I didn't really get jet lag, until one time that lasted for three days. It was devastating, I honestly had no idea what I was doing or where I was. Since then, I've had the sense to anticipate it. As soon as I get on the plane, I'll set my clock to the time of where I'm going and then I'll start going to bed at the local time. I'll also make sure to drink tonnes of water and to get out of my seat and move during a long flight. When my daughter was first born, I was travelling back and forth to Vancouver and LA. Every time I'd go through customs or the airport, I'd get these $15 figurines and slowly built a collection for her. Nowadays, I'm always on the hunt for her, whether it be a necklace or whatever. For myself, I collect XXXL - that's "triple extra large" - T-shirts from the places I'm visiting. I like things loose! I actually have a Bondi Beach sweatshirt from the first time I visited Australia, which I wear every other day. As you can imagine, it's not in great shape! I need to pick up a new one on my next visit. Pay attention. I travel alone a lot and I make sure to be aware and to listen. Also, if you're travelling a lot and you find a place that's comfortable, just stay there for awhile. Don't be in a hurry to get back on the bus with the other tourists. Ewart, Paul. "MacGyver Star Richard Dean Anderson Shares His Travel Tips." The Herald Sun. September 12, 2015.